Barely got over yesterdays Part I thanksgiving dinner which consisted of Brown Sugar and Pineapple Glazed ham, baked sweet potatoes, Potatoes Au Gratin garlic and herb bread, spiced green bean casserole and Tres Leches for dessert. Part II is now in the works with Roasted Turkey, Bacon Mashed Potatoes, Gravy, Madeira Cranberry sauce and Chorizo stuffing. In the meantime, I have some ham on the bone left over from yesterday so decided to do something with it whilst waiting for the Turkey to cook. 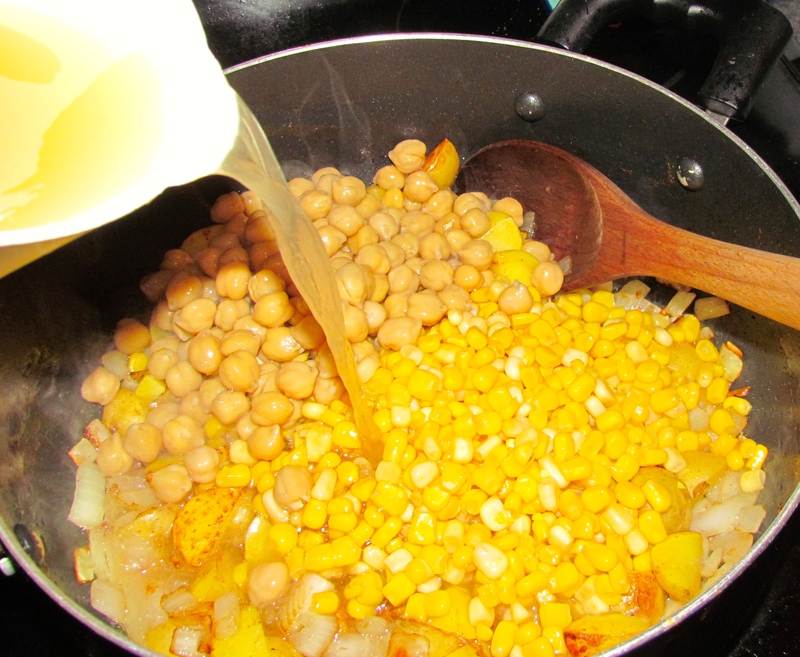 Can of garbanzo beans (chick peas) (drained), I usually use butter beans or kidney beans but apparently I forgot to stock up on them as all I found in my pantry was the Garbanzo Beans. 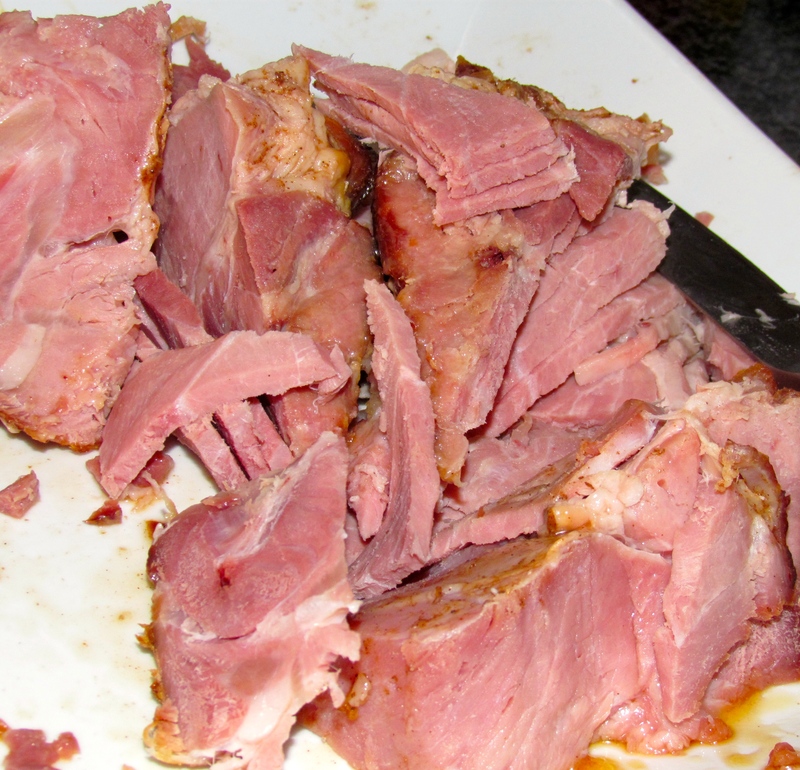 Place ham in a casserole and cover it up half way with water and let it boil away for about 45 minutes. 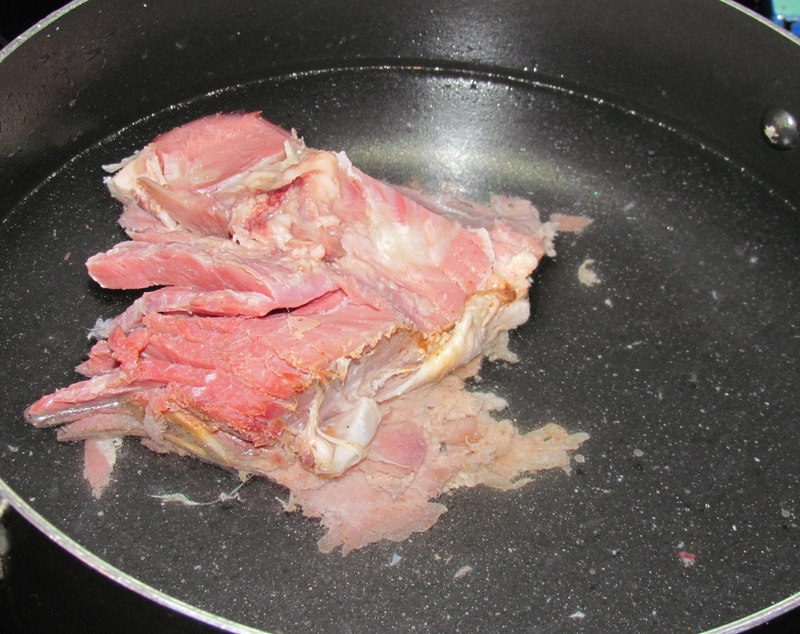 Discard the bone and set the ham stock aside. Drizzle a bit of olive oil into a stock pot and cook the onions and potatoes and garlic until the onions become translucent (about 3 mins). 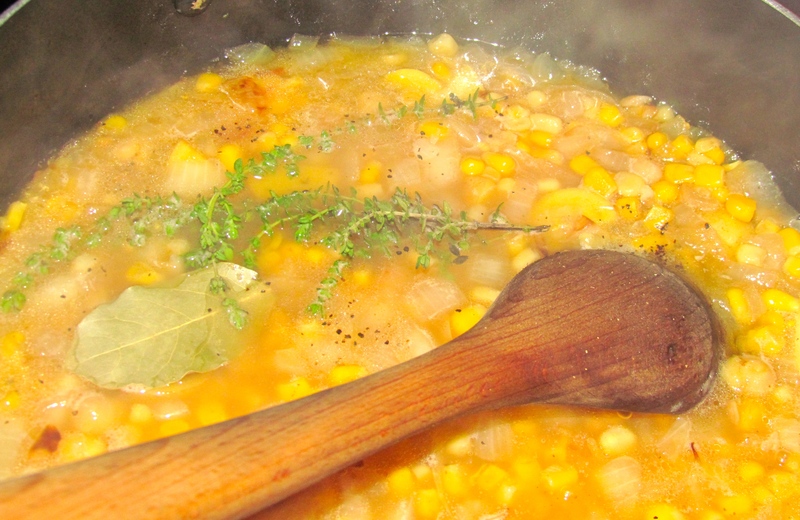 Add the ham stock, garbanzo beans and sweet corn, your choice of herbs, pepper and salt if needed. 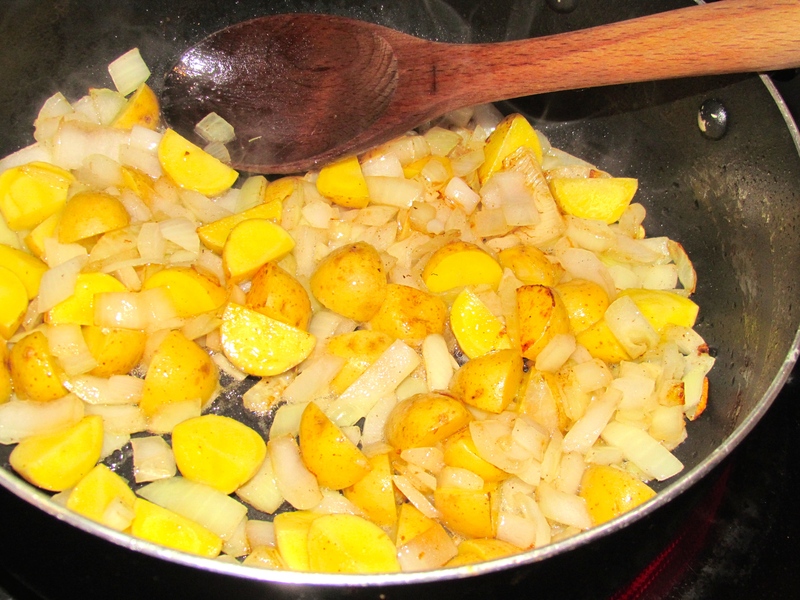 Bring to a boil and then reduce heat and cook until the potatoes are soft and tender (time depends on how small you chop your potatoes so I suggest just testing them as you go along). Last but not least, add the chopped ham so that it warms up and serve. Its the perfect leftover dish for a lovely cold crisp evening served with a crisp glass of chardonnay, now I just hope that this cold front down here stays for a few days so we can get to enjoy the soup without breaking out a sweat :-)!